Yesterday, Google finally sent out invites for its annual spring product event set for October 9, and even with the preponderance of leaks showing the alleged Pixel 3 and Pixel 3 XL, the announcement instantly reinvigorated speculation about what else Google might have planned for the day. This post was originally published on September 8 at 09:00. That brings us to YouTube channel Front Page Tech (FPT), which — shortly following Google’s invite announcement — posted a video claiming that someone from Google’s hardware team had reached out to them, apparently asking for permission to use a clip from a previous FPT episode during the October 9 product event. 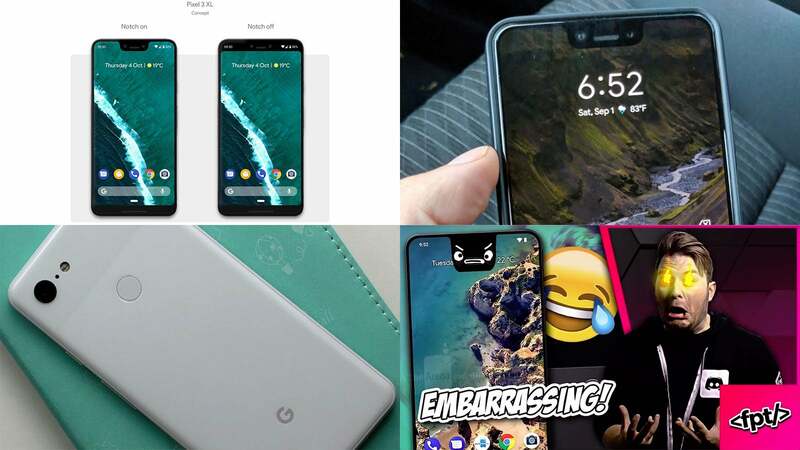 Where things start to get weird is that for the last few weeks, FPT’s Pixel 3 coverage has primarily consisted of videos hating on Google’s rumoured phone for being ugly and poorly designed. Front Page Tech also claims that Google has reached out to a “handful” of other YouTubers, allegedly asking the channels for permission to use their clips to create “a very specific narrative”, since “all of the clips are people mocking them about the leaks and how terrible the phone looks”. 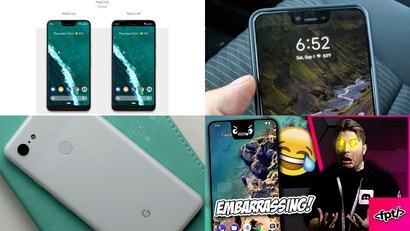 This brings us to FPT’s wild theory — that, apparently, the only reason Google would ask for permission to play clips of people trashing the design of its leaked Pixel 3 is if those “leaks” were actually all just a smokescreen to distract the media, while Google preps to show off entirely different devices in October. Now, speculation such as this is as close to tinfoil hat territory as gadgets blogs will typically get, because if it’s true, it might be one of the greatest misinformation campaigns pulled off by a company in the internet age. However, the sheer number of Pixel 3 and Pixel 3 XL leaks seem somewhat suspect, too. Over the past couple weeks, almost every day new reports have popped up about unannounced Pixel phones being sighted all over the globe. There was the case of multiple Russian blogs that allegedly obtained final production Pixel 3 XL’s after they had apparently been stolen while in transit. Then there were numerous reports of an unnamed person spotted using a Pixel 3 XL while riding a train in Toronto. Later, someone posted photos of a regular Pixel 3 showing a notchless design that looked very different from what we’ve seen so far of the Pixel 3 XL. And earlier this week, there was yet another Pixel 3 XL sighting after the phone had supposedly been left in the back of a Lyft. Look, leaks get out. Crap happens. I get it. But the sheer number of alleged Pixel 3 leaks either means that Google has some of the most inept security when it comes to guarding info about unreleased devices, or there’s simply more going on than all these leaks have shown so far. This is not typical for companies such as Google. That said, it’s still difficult to seriously buy into Front Page Tech’s Google Pixel 3 Bamboozle theory. But in the back of my mind, I kind of hope he’s right. 2018 hasn’t exactly been the most interesting year for phones, and a major part of Google’s spring launch event has seemingly already been spoiled, undercutting much of the excitement. If these fake leaks do result in some real surprises on October 9, then kudos to Google. I wish you the best in your trolling.